The locking Mailsafe mailbox provides excellent security in an attractive and contemporary design. This medium-sized mailbox incorporates a streamlined shape, clean lines and a black color that redefine performance and aesthetics. The Mailsafe can secure envelopes, magazines, padded mailers and other items. It is manufactured from polypropylene plastic that will never rust, while providing the utmost in durability and toughness. The mailbox is also treated with an ultraviolet inhibitor to extend its life and looks. The Mailsafe has an access door that facilitates easy delivery of mail, while a cam lock thwarts potential thieves. 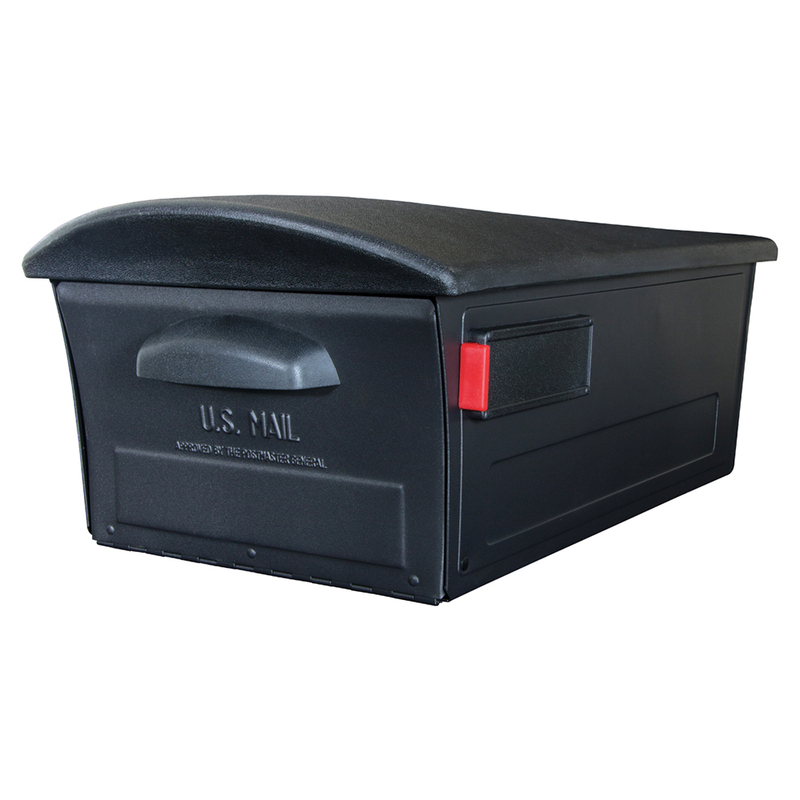 The Mailsafe is offered in black and comes fully assembled.